Our range of natural bagasse papers are quite popular with our customers. Natural bagasse handmade paper with crushed bagasse fiber. Available in a variety of gsm’s baby blue colored bagasse handmade papers with real fiber content. 100% eco friendly and natural. Natural bagasse handmade papers available in a wide variety of shades and textures. 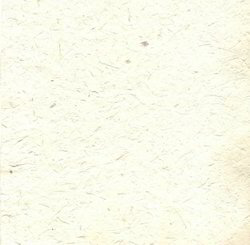 Natural earth toned bagasse handmade papers with heavy fiber mottling. Suitable for making bags, boxes and other related paper products. Bagasse handmade bond paper suitable for computer printout and other office stationery needs natural shade bagasse handmade paper with real bagasse fibers, bagasse papers are suitable for gift wrap, scrapbooking and art and craft projects we manufacture a large range of bagasse handmade papers which are available in a variety of colors, finishes, textures and patterns. Cream colored bagasse handmade paper with natural bagasse fiber inclusions, our natural bagasse fiber included papers are ideal for scrapbookng, art and crafts and for manufacturing bags and boxes. . Red color bagasse handmade paper made from sugarcane waste. We manufacture a large range of bagasse handmade papers. our bagasse papers are made from bagasse (sugarcane waste) that is obtained from the sugarcane mills of india. 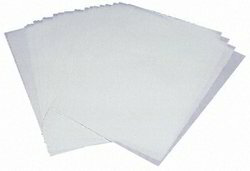 Our bagasse papers are available in sizes of 22*30 inches. Our bagasse handmade papers are available in various gsms, starting from 100 gsm. And we can provide you with heavier gsm upto 1000. 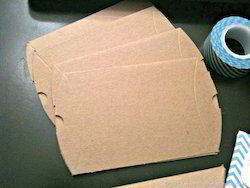 Bagasse papers are used widely in the manufacture of bags and boxes and envelopes. 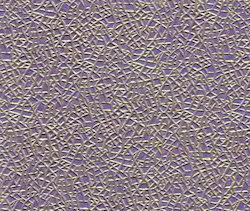 Bagasse handmade papers are also wide used for scrapbooking and gift wrapping. Logo Printed Paper Cake Boxes, can be custom printed with your logos. 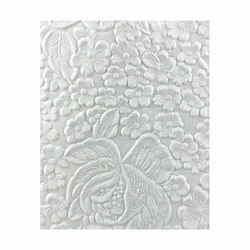 Embossed paper cake boxes available in a wide variety of sizes, patterns and styles. Take Away Cake Boxes with Handles in Custom Prints. Kraft Paper Cake Boxes in various sizes. Kraft Paper Cake Box can be made available with Logo and Without Logo. Metallic Textured Paper Cake Boxes available with Logo Printing. Screen Printed Cake Boxes available in a wide assortment of designs, patterns and prints. Foil Printed Folding Paper Cake Boxes. Custom Design Patterned Cake Boxes with Windows. Striped Paper Boxes with Window for packaging Cakes and Pastries. Custom Pastry Boxes for Giving Out Wedding Cakes available in a large assortment of designs. Silver Paper Boxes for Packaging of Cakes and Pastries in various sizes. Screen Printed Paper Boxes for Packaging of Cakes and Pastries. Colored Paper Boxes for Packaging for Cakes and Pastries which can be tied with the Use of Ribbons. Folding Paper Boxes made in a variety of Paper Qualities for packaging of cakes .. Kraft Paper Boxes in various sizes for Packaging for Cakes. Gold Paper Cake Boxes can be made available with Single Logo Color Prints also..Large Range of Cake Boxes available on Decorative Paper in different shapes and sizes Window Cup Cake Boxes with Screen Printed Papers, available in a wide variety of sizes. We are also manufacturing Cup Cake Boxes for Individual Cup Cakes. Colorful Paper Cup Cake Boxes available in a large range Sizes and Paper Qualities. Cake Boxes are also available in Decorative Papers with Windows. We manufacture a large range of Cake Boxes in Varying Sizes. We make Decorative Cake / Pastry Boxes with Ribbon Ties and Flower Embellishments. Cake Boxes are also available In Kraft Paper with Logo Printing as per your requirements.We are also manufacturing Cake Boxes using Metallic Papers.Cake Boxes are available in a large range of Assorted Sizes with Custom Prints.We manufacture a large range of Cake / Pastry Boxes available with Windows in Striped Paper Designs We manufacture a range of Custom Printed Cake Boxes or Pastry Boxes that are available with Ribbon Ties. We also make a large range of Customized Pastry Boxes with Embellishments that can be handed over during marriage ceremonies. We manufacture a large range of Cake/ Pastry Boxes made in Beautiful Screen Printed Handmade Papers, these boxes can be logo printed as per your requirements.. Our Cake Boxes are made for 250/500/1 kg , 2 Kg and higher volume Cakes.. Our Cake Boxes are also available in Art Paper, Kraft Paper and Handmade Paper. We also manufacture Cake Boxes in different Shapes and Sizes and Custom colors and Prints. Our Cake Boxes are made with Inner Sides Laminated so that the Food Content, stays in side the box. Corporate Desktop Handmade Paper Set with A Drawer and Writing Paper with Matching Envelopes. Animal Themed Paper Covered Paper Pen Stands.Fabric Covered Pen Stands made from Recycled Or Scrap Fabric. We manufacture a large range of Pen Stands made from Paper., Our Pen Stands are available in a variety of sizes. We manufacture Penstands using Leatherette Handmade Papers. We also make Pen Stands that double up as desktop stationery sets with writing paper and pads. Pen Stands can also be made available with Logo Printing. Pen Stands are available Foldable and also in Hard Shapes. Pen Stands are are also manufactured with silk screen printed handmade papers. There are Minimum Order Requirements that we need while manufacturing Pen Stands. We also manufacture Pen Stands from Leaf Impression Papers. Pen Stands are also made in Batik Handmade Papers. Pen Stands are Shipped Flat. Our Pen Stands can be customized as per your size specifications. Our pillow boxes can also be used to pack shirts. Shirt Boxes that have been custom printed with client specifications.We also manufacture Hard Shirt Boxes, that have been made on Good Quality Papers with Logo PrintsWe manufacture a large range of Customized Shirt Boxes in Good Quality Papers. Shirt Boxes available in a wide variety of paper qualities, Colors etc. Our Shirt Boxes are manufactured in a variety Of Sizes. We can custom print your logos on our shirt boxes. We also manufacture shirt boxes made from Water Hyacinth Papers as well As Silk Papers. Our Shirt Boxes are also made in Kraft Paper, Art Card, Handmade Paper etc. 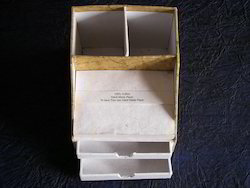 We manufacture Flat Shirt Boxes as well as Hard Shirt Boxes. We are also manufacturing Luxury Shirt Boxes. Shirt Boxes are available with Foil Stamping.. Shirt Boxes are available with Logo Printing. Shirt Boxes are also available with Logo Embossing. Shirt Boxes are also available with Silk Screen Printing..We are also manufacturing Shirt Boxes with UV printing. We also manufacture a large range of Good Quality Plain Paper Shirt Boxes. Shirt Boxes are also available with Ribbon Ties.We have a fairly large capacity for Manufacturing shirt boxes. Shirt Boxes are also available in Jute Fabrics. 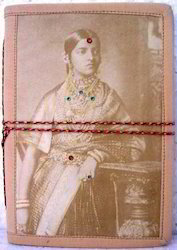 Antique Look / Theme Handmade Paper Notebooks, available in a wide variety of sizes. Old Look Mini Journals, available in Small Mini Sizes, with Old Antique Look Covers. Animal Theme Screen Printed Handmade Paper Journals Orange Colored Buffalo Leather Journals, with Handmade Paper Inner Pages. Embroidered Silk Fabric Mini Journals, available with various Cover Options. Hand Embroidered Handmade Paper Journals with a beautifully embroidered cover and inner pages made from Cotton Rag Papers. Animal Theme Handmade Paper Journals with Soft Covers. We manufacture a large range of Madhubani Style, Hand Painted Cover Journals.Our Range of Crushed Leather Journals are very Popular Worldwide, made in Smooth Goat Leather and having a crushed effect, these journals look very rich. Buffalo Leather Journals Available in a large variety of Finishes. Leather Journals with Logo Embossed ideal for use by Corporates. Old Look Handmade Paper Printed with an ethnic Indian theme design. These journals are very popular in Souvenir Shops Worldwide.Ethnic Indian Print Inspired Handmade Bahi Journals with String Ties. Large Variety Of Prints Available. Buffalo Leather Handmade Paper Journals with Cotton Rag Handmade Paper Inner Pages.. We are also manufacturing a large range of Journals, Our Journals are available in Leather and Paper Covers. Our Leather Covers can be embossed as per clients specifications. Our Journals are available in sizes of 4*6”, 5*7”, 6*8”, and can be customized in your sizes also. We are also making Leather Journals from Crush Effect Leathers, also referred As Crush Leather Journals. We are also making Leather Journals in Plain Leathers and these are available in a large assortment of colors.. Our Leather and Paper Journals are also available with Deckle Edges.